Product categories of Brass Machining, we are specialized manufacturers from China, Brass Machining, Brass Aluminum suppliers/factory, wholesale high-quality products of Stainless Steel Cnc R & D and manufacturing, we have the perfect after-sales service and technical support. Look forward to your cooperation! 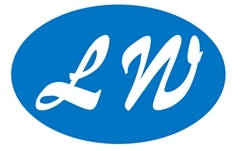 LW has been making precision turned brass components since 2008. Few materials are easier to machine than brass, so smart brass component buyers choose their brass parts supplier by using a simple decisive factor: who can I trust to deliver the machined brass products I need precisely when I want them?Brass machining parts have several key advantages compared to machining other materials. Brass turned parts and components are durable, cost-efficient, and even create a tighter seal for fittings. In addition, brass machining and turning parts have a high heat and corrosion resistance! More importantly, Cox Manufacturing's brass screw machine parts are easy to machine and join, and made to your specifications and standards.